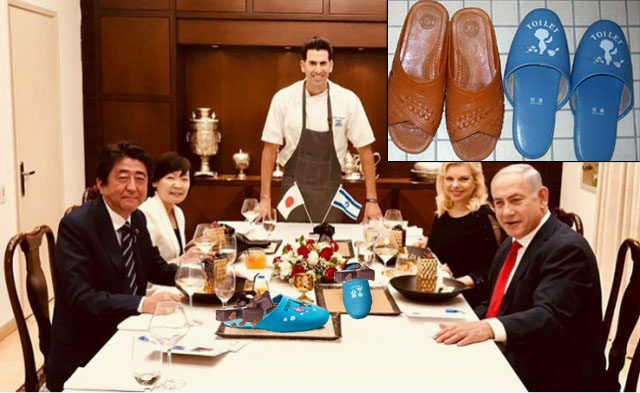 After a day of high-level meetings on May 2, Japanese Prime Minister Shinzo Abe and his wife, Akie, were treated to a festive meal at the official residence of Israeli Prime Minister Benjamin Netanyahu and his wife, Sara, complete with a side order of slipper dessert. Israeli chef Segev Moshe served up a selection of chocolate pralines for dessert artistically arranged inside a shiny blue toilet slipper. 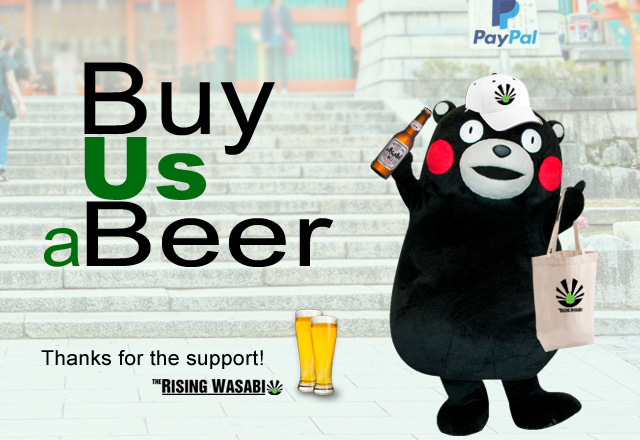 Abe said if Israeli women spent more time cooking rather than making decorative slippers for chefs he might have received a more respectable meal. Netanyahu incrementally encroached on Shinzo and Akie Abe’s dining space throughout the meal, continually resettling his plates onto the other side of the table.